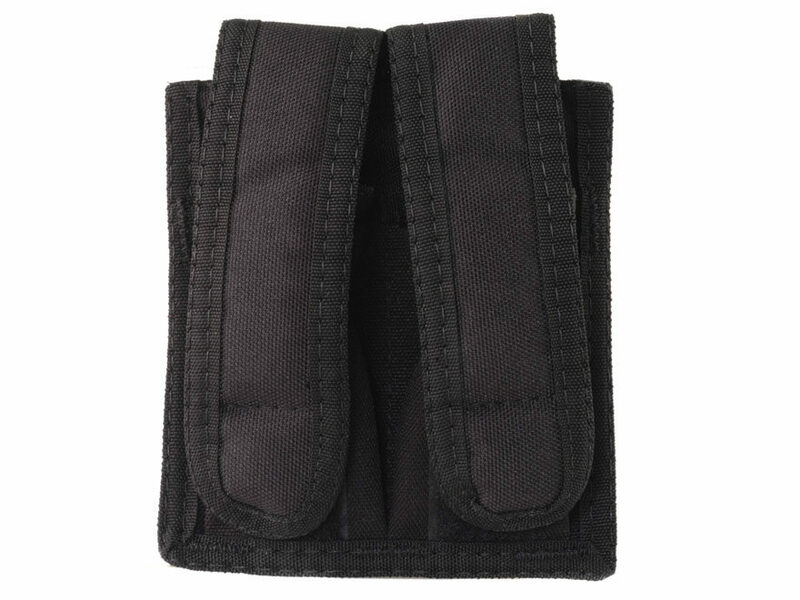 This double magazine pouch carries two single or double stack magazines either vertically or horizontally on belts up to 2" wide. Durable nylon construction with individual hook-&-loop fastener flaps. Black.